So, firstly, I’ve never blogged a day in my life and when told that it’s now such an essential part of clients understanding who is behind the operations of a small business and its growth, I decided I should definitely give it a shot. I guess it would only make sense for you to understand a little about your owner and the team that you encounter when you come by and visit our two stores. Firstly, your owner, me, was a teacher before having a child of my own. Once my daughter was born, I had to step back from teaching for a little while to care for my new little one. 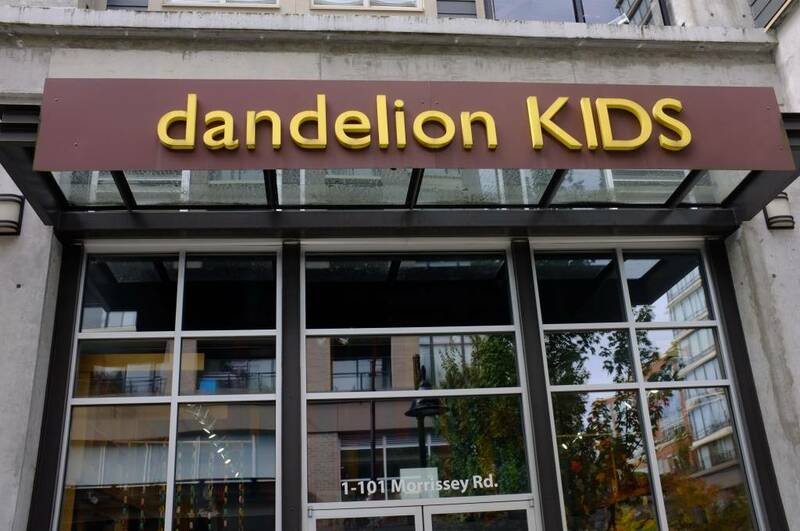 My husband and I were blessed with this opportunity to move into a different direction with our lives with the purchase of dandelion KIDS and its two locations, and to be very honest, it is the only thing that I was willing to consider giving up teaching for. Since taking over, it has been a huge learning curve – I’m not going to lie. However, the team that I have been so lucky to work with has made it an amazing journey. Both our store managers adapted and learned with me when it came to transitioning from our old computer system to our new one as well as setting up our new webstore platform. More importantly, they have taught me a lot as well. By filling me in on what has happened over the years at dandelion KIDS and helping me understand the amazing vision the original owners had for the store, I was able to start seeing how we could improve and grow from our current state. Having an understanding of children and their development through my years of training and teaching as well as a little girl of my own has definitely helped me connect with all the clients that I have met. That has been one of the best parts of being a part of dandelion KIDS. There is no denial that every single child and parent is different, and there isn’t an instruction manual that comes with raising a child, but having had exposure to different children and different personalities has helped me understand the different types of clients that shop with us and given me a slight upper hand in selecting merchandise that will suit as many of your needs as possible. For that reason, you will notice that our styles are diverse. You will walk into our stores and see monochromatic clothing that features black, white and grey in the most fun way; on the other hand, you will also see bright colours and prints that just make you smile. Our team is diverse as well; each one of them has something different to offer and teach me each time I work and talk to them. I sense the care and ownership they feel toward dandelion KIDS and that is why it is such a pleasure working with all of them. Their experience as people from all walks of life is a part of our growth. Some of them have children of their own, some are trained in working with children and parents, while others are training and studying to work in the field of child growth and development. Nonetheless, all of them have worked in the customer service industry and are always available to assist our clients and offer suggestions and answer questions about our merchandise and the lines that we carry. Blogging is definitely not an area I’ve delved into before and hopefully, this first true blog of mine hasn’t bored you all to death. My intention was to give you a bit of insight as to who is behind dandelion KIDS as it moves forward without telling you my entire life story and to also help you see that the dandelion KIDS team is a family. We work together, teach eachother, care about eachother and exude all of that in authenticity toward our clients and their little ones.